The Eastern Tour will consist of all MRCA approved (lead & dual) Rodeos. Excluding Special Events and the MRCA Fundraiser rodeo. To qualify for the Eastern Tour you must compete in a MINIMUM of 7 Eastern Tour Rodeos. Junior contestants competing in Junior Events must compete in a MINIMUM of 6 Eastern Tour Rodeos. In the event of a tie in points for the qualifying position, the tie will be split by money won at tour rodeos. If the position is still deemed a tie, there will be a witnessed coin toss after the last tour rodeo to determine the contestant for the position. The Eastern Tour will take one contestant in the 7 major events and one contestant in the minor events Junior Barrel Racing, and Junior Bull Riding. 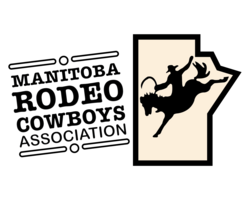 If the Tour winner at the end of the Tour is already qualified to attend the Manitoba Finals Rodeo through the regular season standings, the finals position will be awarded to the next highest qualified point earner in that event on the tour. The Western Tour will consist of all MRCA approved (lead & dual) rodeos. Excluding Special Events and the MRCA Fundraiser rodeo. To qualify for the Western Tour you must compete in a MINIMUM of 8 Western Tour Rodeos. Junior Contestants competing in Junior Events must compete in a MINIMUM of 6 Western Tour Rodeos. The Western Tour will take one contestant in the 7 major events, and one contestant in the minor events Junior Barrel Racing, and Junior Bull Riding.